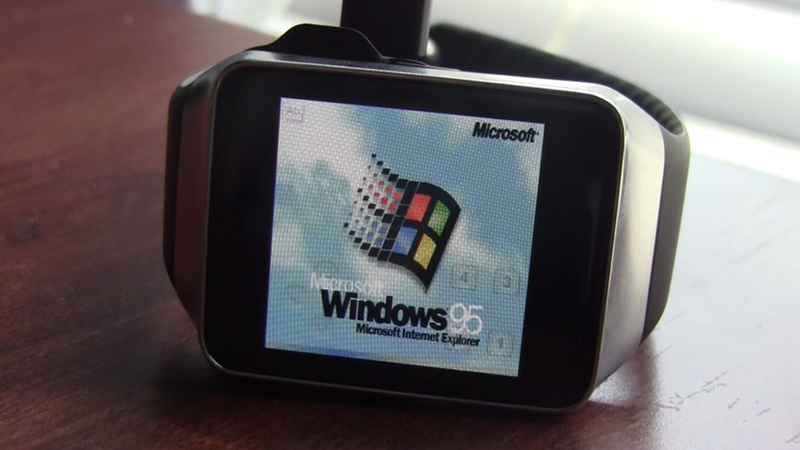 It may not make your smartwatch any more useful for everyday life, and it’s certainly not the answer to the issues we highlighted in our Android Wear review, but one clever tinkerer has managed to get Windows 95 running on a smartwatch. 16 year-old Corbin Davenport used the Android DOS emulator aDosBox to install the iconic OS on his Samsung Gear Live, getting the system to boot – and not a lot else. While the whopping 512MB of RAM should be plenty for Windows 95 – the original system requirements demanded just 4MB – a quirk of the system means it can’t all be accessed, leading to memory-based crashes. This isn’t the first leftfield hack Davenport's managed. He's already got Doom and Minecraft running on Android Wear devices. If you're an Android Wear owner, check out our guide to the ultimate tips, tricks and hacks.